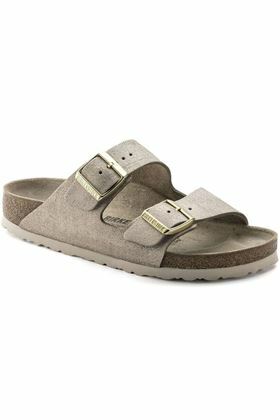 The often imitated, never duplicated, two-strap classic from BIRKENSTOCK - the Arizona is a comfort legend and a fashion staple. Offered here in a luxurious washed metallic leather. 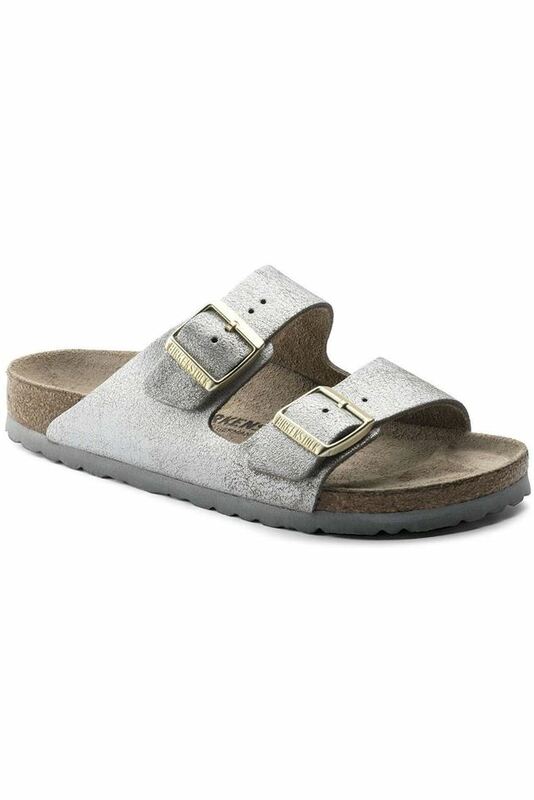 This finish has a subtle vintage look that can vary from shoe to shoe and intensifies with frequent wear.